They do retain his rights of course. It's unfortunate, you can't change the whole CBA for one team/guy but had he just made this decision last year they'd get the pick. Another part of the problem is how different the draft and NCAA systems are for the different sports. Maybe he'll end up getting traded. Russell Wilson's been traded twice. Just curious but will Boras be has agent for football too? I don't think the Boras agency represents football players actually. Some (most?) big agencies do both of course. It seems as if every sport has a headline agent. Baseball has Boras, football has Rosenhaus, basketball has Falk. I think they might just be the guys who are also really into self-branding and self-promotion and media relations (or, in Falk's case, he had MJ). I'm sure the athletes who are repped by CAA (in all sports) do just as well for themselves (maybe even better, if their interest is more Hollywood/ancillary revenue). And Boras was understandably not happy with their guy becoming Mets GM. Murray does indeed have a separate NFL agent and some in baseball - perhaps wishful thinking - believe the whole thing is simply meant to improve his draft stock. Which makes sense, if he goes 10th he's probably going to play football but if he drops to the second round not so much. Oakland holds a trump card – the ability to offer Murray a major-league contract on top of his $4.66 million signing bonus as the ninth overall selection in the 2018 baseball draft. While Murray seemingly left no ambiguity in his statement on Monday, his words were not binding. 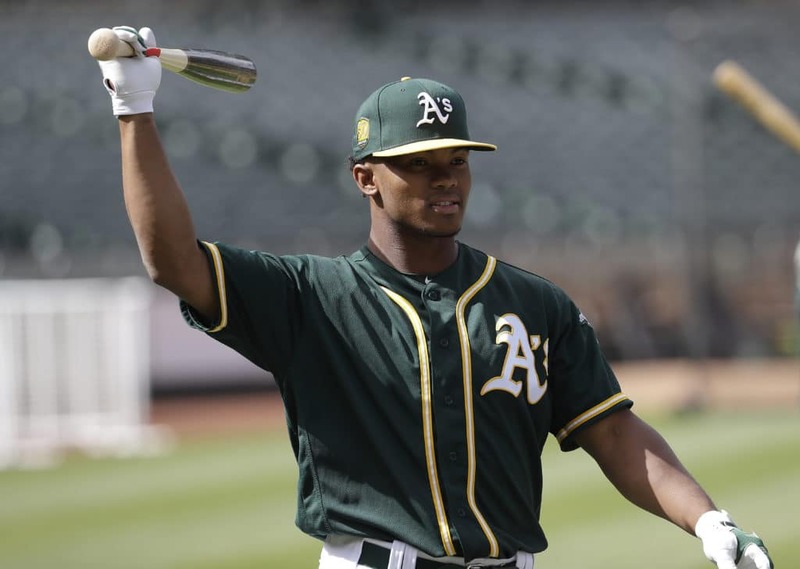 He has sent conflicting signals to the A’s in recent weeks, sources said – a development that is hardly surprising, considering he is 21 and facing a momentous life decision. The A’s further believe Murray’s statement was crafted by his football agent, Erik Burkhardt of Select Sports Group, to demonstrate an unwavering commitment to the NFL – the kind of commitment NFL teams wanted to hear. I noticed in the Oakland transaction signing Robbie Grossman that they created room on the 40-man roster by moving a player to the 60-day DL. Teams used to have to wait until late March to do this. Now they don't apparently. There are 7 of these transactions in the past few days. The Brewers and free-agent third baseman Mike Moustakas have reached a one-year agreement, pending a physical, Ken Rosenthal of The Athletic reports. The pact’s worth around $9MM for the Scott Boras client, per Jeff Passan of ESPN. after the conclusion of the championship season, a player may not be placed on the 60-day Disabled List earlier than the first date that Clubs may invite injured players, pitchers and catchers to attend spring training workouts in accordance with Artlcle XIV(A)(1) of the Basic Agreement. This is from the 2017 version of the Major League Rules (I didn't print out the 2018 version, to conserve paper). I also checked a bunch of prior-year transactions, and these 60-day DL assignments began in mid-February as far back as 2009 (as far back as I looked). Bruce Bochy announced he will be retiring after the 2019 season. I believe that CC Sabathia announced the same as well. Derick Deitrick just signed a minor league deal with the Reds. I initially thought that Bochy would be a first-ballot HOF manager but then I see that his career managerial records is now 18 games under .500. Will that matter? Is Sabathia a HOFer? 246 career wins coming into this season, 3.70 ERA, 2986 K's (17th all time). I think Bochy is a lock for the Hall of Fame. Every manager with more wins is in, and every manager with three world championships is in. I don't think Sabathia will be voted in by the writers. Pettitte didn't get many votes--I know, steroids, but he had better numbers and all those championships. Other comps include Schilling, Tiant, and Morris, who had to get in by the veterans committee. 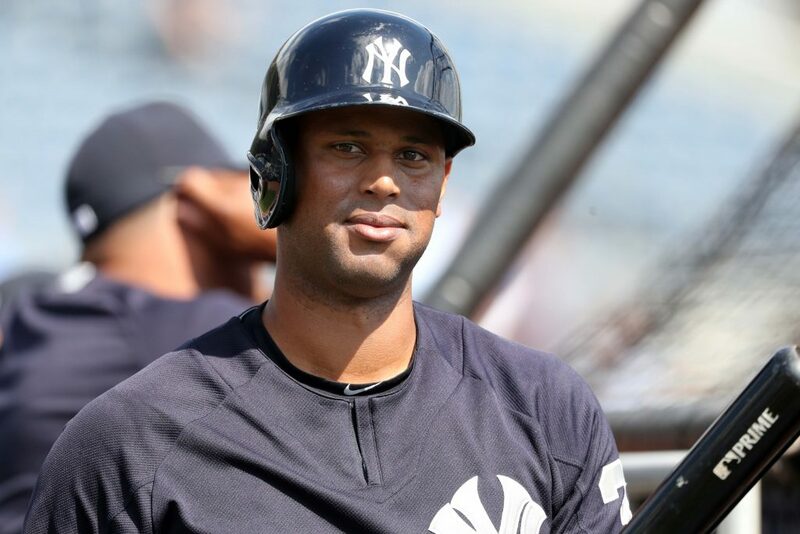 The Yankees and Aaron Hicks in are in agreement on a seven-year contract extension. Read more about the move at MLB Trade Rumors. We dont often disagree BR, but I think Sabathia will get in during the first 5 years. The big difference between these two is the Sabathia was the best pitcher in baseball for a few years, Pettitte really never was. They do have somewhat similar numbers career wise, but they got there different ways, AP was consistent, Sabathia had a great period and less good after. Sabathia's number overall are better, similar, but better. And really what is keeping Pettitte out is the Steroid stain, the lack of a dominant multi year period and really just good numbers over a long career. In Baseball References Hall of Fame Monitor stat AP actually finishes higher, but nothing else really indicates that. He rarely lead the league in anything (wins once, games started 3 times) and had very few Cy Young votes in his career. BK, you make some good points. While I'm not sure CC was ever the best pitcher in baseball (he was close for a short time and was in the discussion in 2007), he was closer to that than Pettitte. Maybe Schilling is a better comp. Schilling was in the top five in WAR for pitchers nine times; CC was in the top five only four times. CC won more games, but he was healthier and probably pitched for fewer bad teams than Schilling. Schilling's ERA+ is 127, Sabathia's is 117 (same as Pettitte). CC and Curt will end up with about the same number of strikeouts, but Schilling did it in 300-400 fewer IP. CC was mediocre in the postseason; Pettitte was good and Schilling was of course great. I guess we'll find out in six years. By then, I suspect Schilling will be in. We're often quick to complain that players don't disclose injuries, get examined for injuries, or have surgery for injuries quickly enough, so I think the Kershaw situation is interesting. He was shut down on the 22nd and still isn't feeling great but they have declined to get him an MRI for the last two days. BREAKING: Third baseman Nolan Arenado and the Colorado Rockies are finalizing an eight-year, contract extension worth more than $255M, league sources tell ESPN. Deal includes an opt-out after three years, would give Arenado the largest per-year salary of any position player.